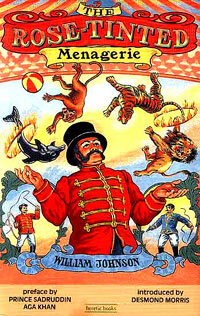 From the chimps' tea party to the latest dolphin acts, the façade of fun and games offered by the circus hides a bitter reality. If not openly dripping blood as in ancient Rome, today's rose-tinted menagerie is still based on cruelty and deprivation at all stages- from the capture of wild animals through their training, confinement and transport. This book exposes once and for all the claim that performing animals can provide harmless entertainment. Prior to its first publication in 1990, author and investigative journalist William M Johnson spent five years researching The Rose-Tinted Menagerie. His research took him to big tops, menageries and dolphin pools throughout the length and breadth of Europe, and to circus shows from as far afield as the Soviet Union and the United States. While some establishments have shut their doors forever - such as the infamous dolphin "striptease" revue at the Moulin Rouge in Paris - these historical snapshots lucidly capture forms of cruelty and exploitation tragically still prevalent elsewhere, such as the travelling dolphin shows currently entertaining locals and tourists in the Far East. From his own undercover work and from the testimony of scores of ex-circus and dolphin show staff, by 1990 Johnson had built up a formidable catalogue of evidence that, upon publication, dismayed wildlife experts, shocked the casual reader and provoked political debate: The Rose-Tinted Menagerie.